Chip joined Legg Mason Wood Walker in 1995 with 25 years of financial services industry experience, including 10 years of branch management experience. In 2006 Legg Mason merged into Smith Barney and in 2009, into Morgan Stanley. He began his career as a financial advisor with Scharff & Jones, Inc. in New Orleans in Institutional Sales and joined PaineWebber’s Municipal Bond Department three years later, also in New Orleans. Chip is a graduate of PaineWebber’s Management Development Program and has had several assignments in branch and sales management. He was recognized by Legg Mason as a Wealth Management Specialist and is a Portfolio Management Director within Morgan Stanley’s Portfolio Manager Program*. Chip received his B.B.A. in Finance and Economics from the University of Notre Dame and is a graduate of the New York Institute of Finance. Outside of Morgan Stanley, Chip has served as a member of the Board of Governors of the Sewanee Academy, as a Trustee of the University of the South, as a member of the boards of Associated Catholic Charities (New Orleans), Children’s Hospital of New Orleans and the New Orleans Health Corporation. 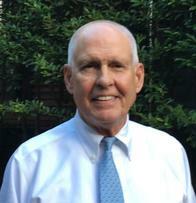 He has been a member of the CFA Institute and the CFA Society of New Orleans for more than 46 years. An active sailor, Chip is a Counselor of Honor of the International J/22 Class Association and a US Sailing Club Race Officer. He retired from the U.S. Marine Corps in 1993 following 31 years of active and reserve service. University of Notre Dame- B.B.A. 18The returns on a portfolio consisting primarily of Environmental, Social and Governance (“ESG”) aware investments may be lower or higher than a portfolio that is more diversified or where decisions are based solely on investment considerations. Because ESG criteria exclude some investments, investors may not be able to take advantage of the same opportunities or market trends as investors that do not use such criteria.